Dear reader more than fifty posts have been published about black cotton soil in this blog; there we have already learnt some regions of black cotton soils and their devastating properties with some soil stabilization techniques. Here we will learn about its distribution all over the world. 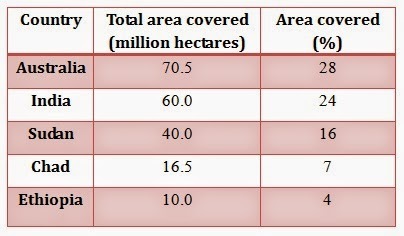 From this table it is clear that these countries are the main regions covering with this soil. 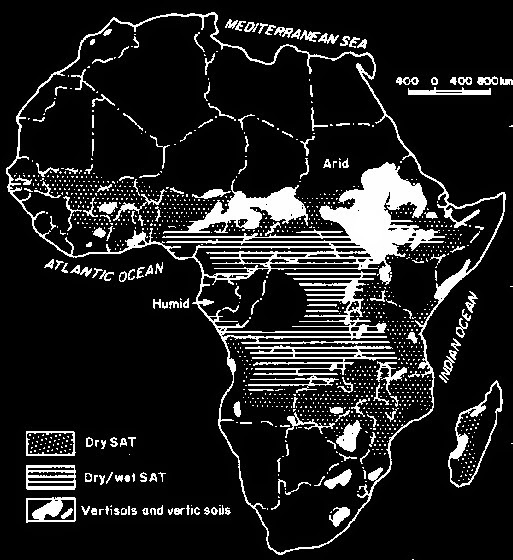 The total area covered by black cotton soil is 250 million hectares and Australia, India, Sudan, Chad and Ethiopia contain more than 80% of total area of world. Northern territory of New South Wales, South Australia, Tasmania, portion of Queensland, Coastal areas in Northern Territories. Although black cotton soil or vertisols are found in relatively small area in land surface of the world, they are important soil in respect of agricultural and civil engineering context. The relative merits and demerits of black cotton soil have discussed in our previous posts, you can read this for more information.